Listen to the sound of Austin Healey 100M engine noise. The fantastic straight-four as it fires up and it’s lazy burble on the move. It’s like stepping back into the nineteen-fifties. The Austin-Healey 100M’s 2639cc four-cylinder is a development of an engine that started life originally in the Austin A90. 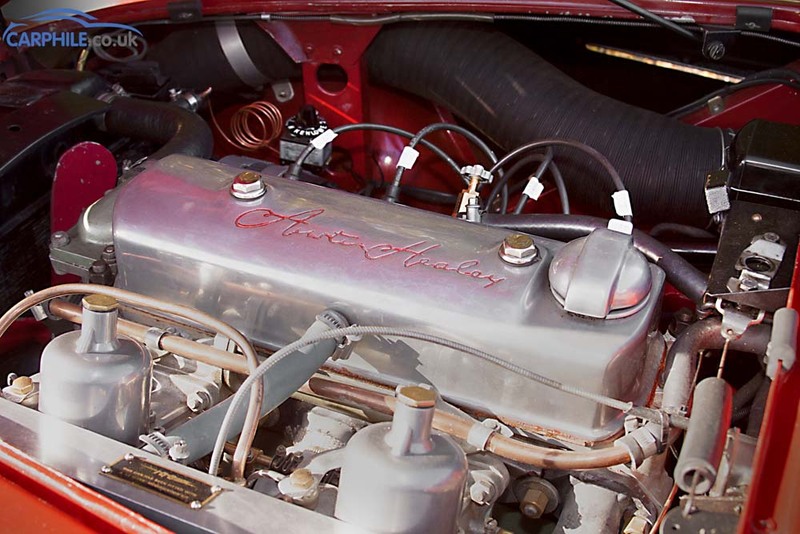 The 100M adopted engine modifications over the standard 100 that Healey had learnt through their Le-Mans racing programme. These were – larger car­bu­ret­tors, a cold air box, high-lift camshaft and 8.1:1 com­pres­sion pis­tons, increas­ing the power to 110 bhp. It is a lovely, lazy unit that can go for 200,000 miles between rebuilds.